Edited and text by Rossella Vodret. Dramatic shifts from foreboding dark to probing light, with minimal gradation in between; a realism that exposes all the flaws and folds of human flesh, eschewing Michelangelo's idealized bodies; a surgical explication of almost unbearably tense emotion; and the poised depiction of crucial moments at the very lip of their unfolding: these were among the innovations of Michelangelo Merisi, known as Caravaggio. Without them, as the great Italian art writer Roberto Longhi once noted, "Ribera, Vermeer, La Tour and Rembrandt could never have existed... and the art of Delacroix, Courbet and Manet would have been utterly different." 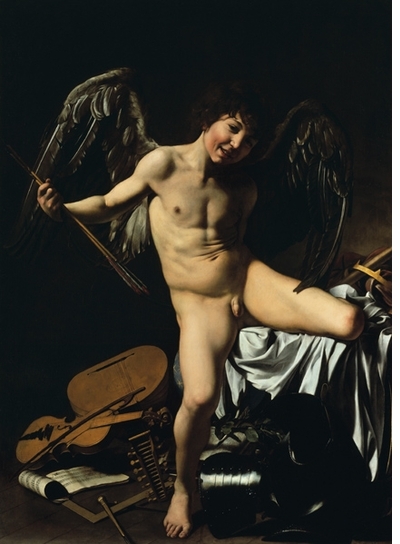 It was Longhi who rescued Caravaggio's painting for the twentieth century, prior to which it had lain dormant since the painter's mysterious death in 1610. 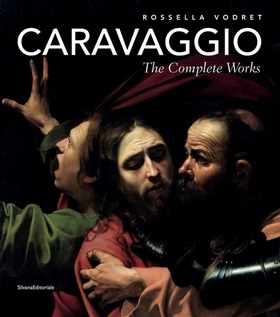 During Caravaggio's lifetime, however, his work was enormously influential and controversial. Each of his innovations in some way upset the prevailing tendencies of the day--not least when his insistence on physical realism led him to paint Saint Matthew as a bald peasant with dirty legs (attended upon by an irreverently intimate boy angel). 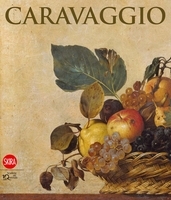 Nonetheless, Caravaggio was never short of commissions or patrons, and left to posterity around 80 masterpieces. This monograph is published on the fourth centenary of Caravaggio's death, and documents his complete paintings in high-quality reproductions. 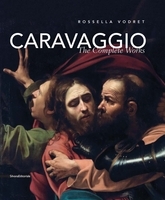 Authored by renowned scholar Rossella Vodret, it is the must-have monograph on the artist. Michelangelo Merisi, known as Caravaggio, was born in 1571 and made his debut in 1600 with two public commissions on the theme of Saint Matthew. He soon became notorious for his temper, and killed a young man in 1606; two further contretemps in Malta and Naples are recorded--the latter, in 1609, involving an attempt on his life--and by 1610 he was dead, after a brief but extraordinary career. "The Medusa, a monstrous creature in Greek mythology with the power to turn enemies who looked her in the eyes to stone, was decapitated by Perseus, who avoided her gaze by using a mirror (Ovid, Metamorphoses, IV:782–785). Caravaggio depicts the Medusa, as he would later represent the victim in Judith Beheading Holofernes,seconds after Perseus has cut off her head, with blood gushing from her neck, and the serpents that she has instead of hair writhing around her face. The expression of frozen horror is exaggerated; the light and shade that sculpt the features intensify her terrible gaze,the attribute and weapon of the gorgon." Rossella Vodret on Caravaggio's Head of Medusa, 1596-1598, from her bookCaravaggio: The Complete Works, published by Silvana Editoriale. FORMAT: Hbk, 9.75 x 11.25 in. / 216 pgs / 150 color.